Recently, Union Cabinet chaired by Prime Minister Shri Narendra Modi has approved the Indian Institute of Management (IIM) Bill, 2017. IIMs are not authorised to award degrees, and hence, they have been awarding diplomas. As per the aforesaid bill, IIMs would be declared as Institutions of National Importance which will enable them to grant degrees to their students. If an IIM student is given a “degree” instead of a “diploma”, would it make a big difference? Generally speaking, no. After all a qualification from IIM is great enough and whether it is a “degree” or a “diploma” makes no difference. That’s the general perception. In my view, if an IIM student is given a “degree” instead of a “diploma”, then it would make a world of a difference. I would like to substantiate my view by adverting to order dated 18.11.2013 passed by Hon’ble High Court of Delhi in Gautam Kumar & Anr. versus Oil and Natural Gas Corporation Ltd. &Anr. bearing W.P. (C) No. 1600/2013. The Petitioners were former students of Goa Institute of Management (“GIM”).GIM is approved by All India Council of Technical Education (“AICTE”). Respondent No. 1 was Oil and Natural Gas Corporation Limited (“ONGC”). Respondent No. 2 was Association of Indian Universities (“AIU”). In 2012, ONGC had called for applications for the post of Graduate Trainee in various disciplines including the discipline of Finance & Accounts. The minimum essential qualification for the discipline of Finance & Accounts as specified in the said advertisement was Graduate Degree with ICWA/CA or MBA with specialisation in Finance with minimum 60% marks. Back then, GIM awarded Post Graduate Diploma in Management (“PGDM”), a rigorous full time two-year residential Master’s level program consisting of core and elective courses.Back then,AIU had declared PGDM of GIM as equivalent to MBA degree. The Petitioners were awarded PGDM with specialisation in Finance. Their marks were well above 60%. The Petitioners applied for the posts of Graduate Trainee – Finance & Accounts.Pursuant to their application, they were called by ONGC to appear in a written examination in November 2012. The Petitioners qualified the written examination.They were called to New Delhi for an interview in January 2013. However, they were not interviewed in the recruitment process. Upon making enquiries, they were informed that they had appeared in finance domain without possessing the requisite qualification i.e., Graduate Degree with ICWA/CA or MBA with specialisation in Finance.Hence, they were not eligible to be interviewed. ONGC’s stand is totally wrong and unreasonable inasmuch as GIM is approved by AICTE and PGDM from GIM is considered to be equivalent degree to that of MBA in Finance by AIU. 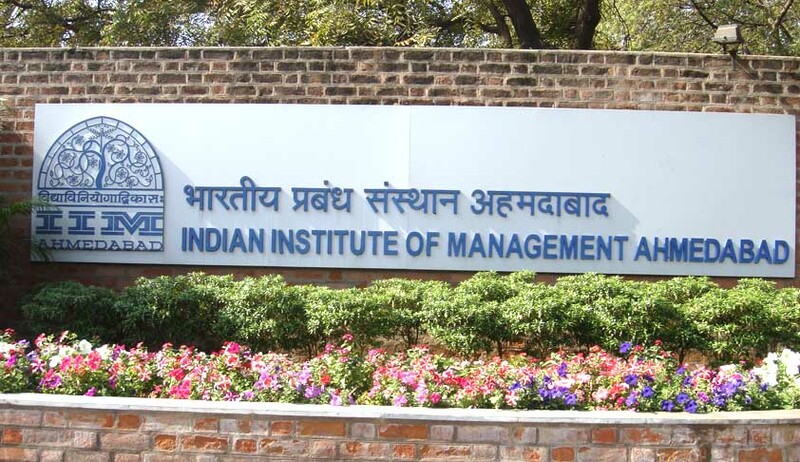 IIMs offer PGDM qualification. ONGC’s interpretation would render PGDM holders from IIMs not eligible to apply for the post of Graduate Trainee – Finance & Accounts. ONGC’s action of insisting upon MBA with specialisation in Finance being couched in the said words with arithmetic precision has shrunk the selection pool into a small pond, which perhaps does not have the best talent, as even IIM graduates have been rendered as not qualified. By way of W.P. (C) No. 1600/2013, the Petitioners prayed that ONGC’s decision to not interview the Petitioners should be quashed and ONGC should be directed to interview the Petitioners. Vide its order dated 13.03.2013 in W.P. (C) No. 1600/2013, Hon’ble High Court of Delhi was pleased to direct status quo as of 13.03.2013 till the next date qua two posts of Graduate Trainee – Finance & Accounts. It was granted premised on the ground that all posts of Graduate Trainees have not been filled up. By various orders passed from time to time, the said interim protection was continued till 18.11.2013. W.P. (C) No. 1600/2013 was disposed of vide order dated 18.11.2013. The limited issue was whether having a PGDM is a qualification which is acceptable as per ONGC’s advertisement for being appointed as Graduate Trainee – Finance & Accounts i.e., Graduate Degree with ICWA/CA or MBA with specialisation in Finance. Hon’ble High Court of Delhi was of the view that it is only a degree which is required as a qualification for appointment and not a diploma, and that, the requirement is only of MBA and not PGDM, hence PGDM cannot be held to be treated as equivalent to MBA. Hon’ble High Court of Delhi was not inclined to agree that PGDM should be taken to be equivalent to MBA for appointment as Graduate Trainee – Finance & Accounts of ONGC. W.P. (C) No. 1600/2013 was dismissed. Thus, if an IIM student is given a “degree” instead of a “diploma”, it would make a big difference, a difference big enough for him to not be qualified for a PSU job. If the nomenclature of a qualification makes it a disqualification, then, it is merit which suffers. Hence, Indian Institute of Management (IIM) Bill, 2017 is a great step to protect merit. On another note, the Government should also consider to statutorily treat as degrees, full-time post graduate diplomas awarded to students of non-IIMs. Such a treatment would enable non-IIM students to compete with IIM students,which would only increase the size of the selection pool. Arjun Natarajan is a commercial litigator. He is empaneled with Ministry of Corporate Affairs as a mediator, in his capacity as an expert in mediation or conciliation who has successfully undergone training in mediation or conciliation as per Rule 4(i) of Companies (Mediation and Conciliation) Rules, 2016. Note: Arjun Natarajan represented the Petitioners in W.P. (C) No. 1600/2013. Opinions expressed, if any, are purely personal.